clean label - Exeller N.V.
Acerola extract is produced from the fruits of the acerola. It is a wild plant grown in tropical and subtropical regions like Mexico, Central America, and South America. 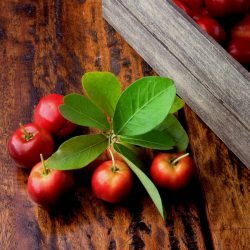 Acerola extract boasts remarkable levels of vitamin C. It also contains vitamin A, thiamine, riboflavine, niacin, carotenoids and bioflavonoids. Antioxidant activity for acerola juice is very high. Higher than reported for other fruit juices particularly rich in polyphenols such as strawberry, grape and apple juices, among others. Food additive, energy drinks, sport drinks, soft drinks, juices, cereal bars, dairy, etc. Cellula™ 90/160 is pea fibre made of selected, non-GMO peas (Pisum Sativum). Natural cellulose insoluble fibres are cleaned of bacteria, micronized and sieved to obtain a product that has a neutral taste and regular functionality. It provides functionalities such as: water and fat retention, swelling effect or nutritional fibre supply. Sausages, meatballs, hamburgers, nuggets, breads, buns, biscuits, aromas, low-calorie diet products, etc. 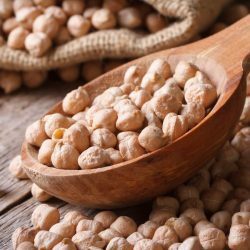 Cicerpro™ 70G is made from chickpeas (Cicer arietinum L.). It an excellent replacement for meat in vegetarian and vegan diets as well as source of vitamins and minerals for everybody. Cicerpro™ 70G has very good gelling strength and can be used in variety of products where this functionality is required. 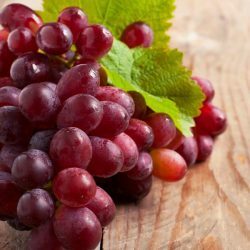 Grape seeds extract is a natural extract from the seeds of Vitis Vinifera. It is intended for use as a natural, strong antioxidant and/or bacteriostat in many kinds of conventional foods. Beverages, wine, breakfast cereals, fats and oils, meat products, frozen dairy desserts and mixes, grain products, milk products, processed fruits and fruit juices, etc. Green tea extract is a natural extract rich in Polyphenols (95%) and EGCG (45%). It is produced from the leaves of Camellia Sinensis. Green tea extract is benefitial for almost every system in human body. It is anti-carcinogenic, cardioprotective, neuroprotective, anti-diabetic, anti-artherogenic, anti-obesity, liver protective and beneficial for blood vessel health. It can be used as a safe natural food antioxidant. It can improve color, flavour and taste of the product as well. Food additive, dietary supplements, cosmetics. Green tea extract is a natural extract rich in Polyphenols (95%) and EGCG (50%). 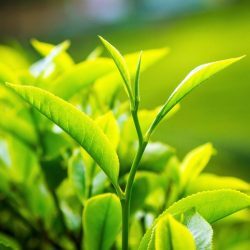 It is produced from the leaves of Camellia Sinensis. Green tea extract is a natural extract rich in Polyphenols (95%) and EGCG (55%). It is produced from the leaves of Camellia Sinensis. Pea protein concentrate Peapro™ 80G is produced from non-GMO Canadian peas. It has very good gelling strength and can be used in variety of products where this functionality is required. Meat products, non-dairy ice cream, vegetable meat replacement, eggs replacement, vegetable protein milk. Pea protein concentrate Peapro™ 80S is produced from non-GMO Canadian peas. It has very good solubility and can be used in variety of products where this functionality is required. Meat products, bakery, protein powder blends, baverages, protein crisp and snacks. Pea protein concentrate Peapro™ 85G is produced from non-GMO Canadian peas. It has very good gelling strength and can be used in variety of products where this functionality is required. Pea protein concentrate Peapro™ 85S is produced from non-GMO Canadian peas. It has very good solubility and can be used in variety of products where this functionality is required. Pea fibre of cotyledon Peapro™ Fibre is produced from Non-GMO Canadian peas. Especially suitable for cereal snack foods, baked foods, meat products, health drinks and healthcare products. Cereal snack foods, baked foods, meat products, health drinks and healthcare products. Peapro™ Starch is non-GMO pea starch from Canadian peas. It is natural and gluten-free food ingredient. Peapro™ starch is highly valuable starch with clean label benefits. Can be used in wide range of food applications. Meat, poultry, fish, vegetarian, bakery, pastry, ready meals, canned food, soups, sauces, etc. 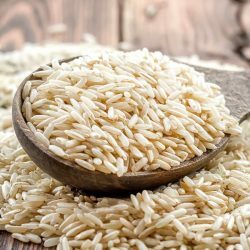 Rice protein concentrate Ripro™ 80 is an excellent source of protein for vegans and people with hypo-allergy. It is exceptionally high in vital natural nutrients. With higher NPU (net protein utilization), BV (biological value) and balance amino acid profile. It makes it perfect ingredient for creating innovative and delicate food products. Baby food, Confectionary, Bakery, Beverage, Health food, etc. Sativa™ 32/100 is pea pre-cooked flour made of selected, non-GMO peas (Pisum Sativum). Flour is pre-cooked by hydro-thermal extrusion and are micronized removing bacteria and pre-gelatinizing starch. It provides functionalities such as: gelification (1:4 (water) after cooking at 75°C), emulsification (1:5:5 (water/fat)), taste and viscosity. Fine-textured sausages, mortadella, meatloaf, kebab, hummus, falafel, extruded snacks, soups, frying batter, etc. Texta Pois™ 24/10 is made of selected, non-GMO peas (Pisum Sativum). Proteins are texturized by extrusion to give them flakes structure leading to a “fibrous and elastic” texture after rehydration. It is used as meat replacements / analogue (beef, poultry, fish…). It provides functionalities such as: chewing texture, water and fat retention, colour, taste or protein supply. Gluten free coating which can be used fresh or frozen on numerous substrates. Texta Pois™ 24/15 is made of selected, non-GMO peas (Pisum Sativum). Proteins are texturized by extrusion to give them flakes structure leading to a “fibrous and elastic” texture after rehydration. It is used as meat replacements / analogue (beef, poultry, fish…). It provides functionalities such as: chewing texture, water and fat retention, colour, taste or protein supply. As gluten free bread crumbs for meat-based products: salami, sausage, tacos, meat balls, meatloaf. Texta Pois™ 24/30 is made of selected, non-GMO peas (Pisum Sativum). Proteins are texturized by extrusion to give them flakes structure leading to a “fibrous and elastic” texture after rehydration. It is used as meat replacements / analogue (beef, poultry, fish…). It provides functionalities such as: chewing texture, water and fat retention, colour, taste or protein supply. Texta Pois™ 24/50 is made of selected, non-GMO peas (Pisum Sativum). Proteins are texturized by extrusion to give them flakes structure leading to a “fibrous and elastic” texture after rehydration. It is used as meat replacements / analogue (beef, poultry, fish…). It provides functionalities such as: chewing texture, water and fat retention, colour, taste or protein supply. Texta Pois™ 65/50 is made of selected, non-GMO peas (Pisum Sativum). Proteins are texturized by extrusion to give them flakes structure leading to a “fibrous and elastic” texture after rehydration. It is used as meat replacements / analogue (beef, poultry, fish…). It provides functionalities such as: chewing texture, water and fat retention, colour, taste or protein supply. VPowder™ Balsamic is balsamic vinegar powder produced by spray-drying of balsamic vinegar on maltodextrin carrier. It provides maximum balsamic vinegar taste and flavour. Fine texture offers convenient way to use in dry mixes when liquid component is not desired. 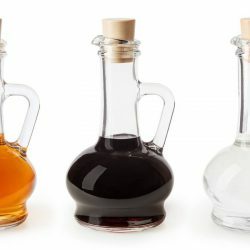 It can be used to enhance the flavour of food formulations and increase the sourness associated with balsamic vinegar in variety of applications. Meat, fish and poultry products, snacks, dry mixes, soups, sauces, salad dressings, seasoning blends, etc. VPowder™ Cider is apple cider vinegar powder produced by spray-drying of apple cider vinegar on maltodextrin carrier. It provides maximum apple cider vinegar taste and flavour. Fine texture offers convenient way to use in dry mixes when liquid component is not desired. It can be used to enhance the flavour of food formulations and increase the sourness associated with apple cider vinegar in variety of applications. VPowder™ White is spirit vinegar powder produced by spray-drying of spirit vinegar on maltodextrin carrier. It provides maximum spirit vinegar taste and flavour. Fine texture offers convenient way to use in dry mixes when liquid component is not desired. It can be used to enhance the flavour of food formulations and increase the sourness associated with spirit vinegar in variety of applications.